Radius for Yeti, Shockmount from Blue Microphones. 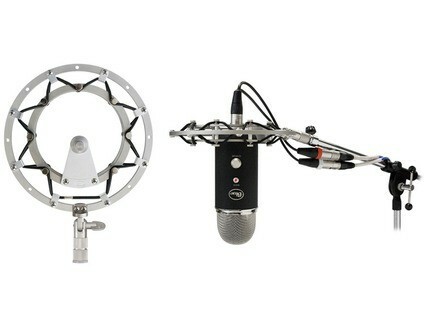 Blue Microphones announces Radius, a custom-made suspension shockmount for Yeti and Yeti Pro, designed to isolate the microphone body from ambient vibration when mounted on a mic stand. 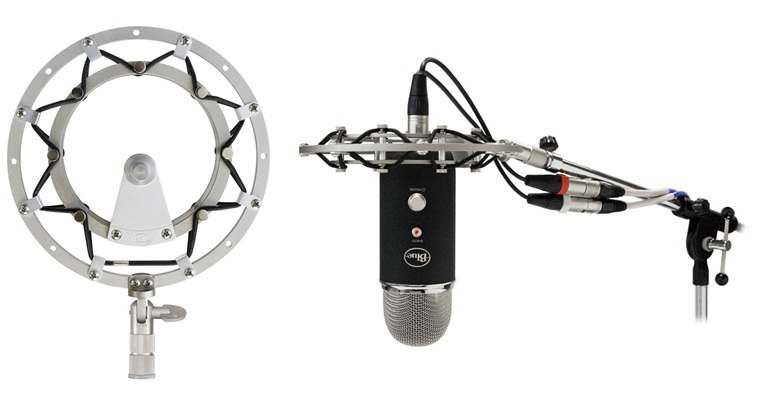 Built with a similar form factor to the Ringer – the suspension shockmount for the Snowball USB mic – Radius allows the Yeti or Yeti Pro to sit upright on a mic stand or be mounted onto a boom stand. Radius is available now at authorized Blue dealers (SSP 69 EUR). For more information, visit www.bluemic.com/desktop. Equator D5 Available Final assembly of the Equator Audio Research D5 Studio Monitor is now in process, with initial delivery expected Monday, July 25. [NAMM] Boss Micro BR BR-80 Shipping Boss is now shipping the Micro BR BR-80 Digital Recorder, an updated version of its popular Micro BR multitrack recorder. [NAMM] Alesis TwoTrack Alesis introduces the TwoTrack portable audio recorder.